During standard check-up exams, cleanings, or other general dentistry procedures, we will provide all of the information you need to make more informed decisions about maintaining your oral health. Every appointment is treated as a personal consultation to identify and prevent serious dental problems. Oral cancer screening: Check every patient’s face, neck, lips, tongue, throat, oral tissues, and gums for any signs of oral cancer. Gum disease evaluation: Check the gums and underlying bone structure around the teeth for any signs of periodontal disease. Assessment of tooth decay: All tooth surfaces will be checked for decay with appropriate dental instruments. Assessment of existing restorations: Check current fillings, crowns, implants, etc. to ensure proper form and correct function. Removal of calculus (tartar): Calculus is a hardened plaque deposit that has remained on the tooth for some time and is now firmly attached to the surface of the tooth. Calculus forms above and below the gum line and must be removed with the use of special dental instruments. Removal of plaque: Plaque is a sticky, opaque film that forms on the teeth. It is a growing colony of living bacteria, saliva and food debris. The bacteria produce toxins (poisons) that inflame and irritate the gums, sometimes causing bleeding. This inflammation is the beginning of periodontal disease! Teeth polishing: Remove stains and plaque that are not initially removed during the tooth brushing and scaling process. 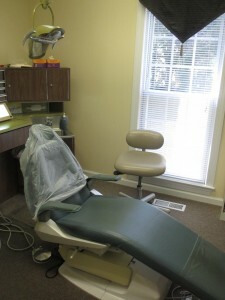 Looking for a new North Raleigh general dentist? Contact Dr. Gregg Festa DDS today! Request your appointment online or by phone. And make sure to ask about our new patient specials!